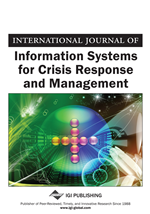 The International Journal of Information Systems for Crisis Response and Management, IJISCRAM, has a goal of promoting quality research into information systems, IS, for crisis response and management. Unfortunately, this research doesn’t lend itself well to the traditional positivist quantitative research methodologies considered quality research by main stream IS researchers. Instead, our methodologies focus on qualitative and action research methods. This event report, on the Golden Phoenix exercise, is action and experimental research. Action research as all the authors were participants in the exercise. Experimental research as the exercise itself was a live world laboratory for testing various IS, sensor, and other technologies supporting crisis response.